This heavy ceramic cat bowl is perfect for Persians because it is especially flat. The bowl's interior enamelled surface and external bowl sides make the ceramic bowl really hygienic and easy to clean. 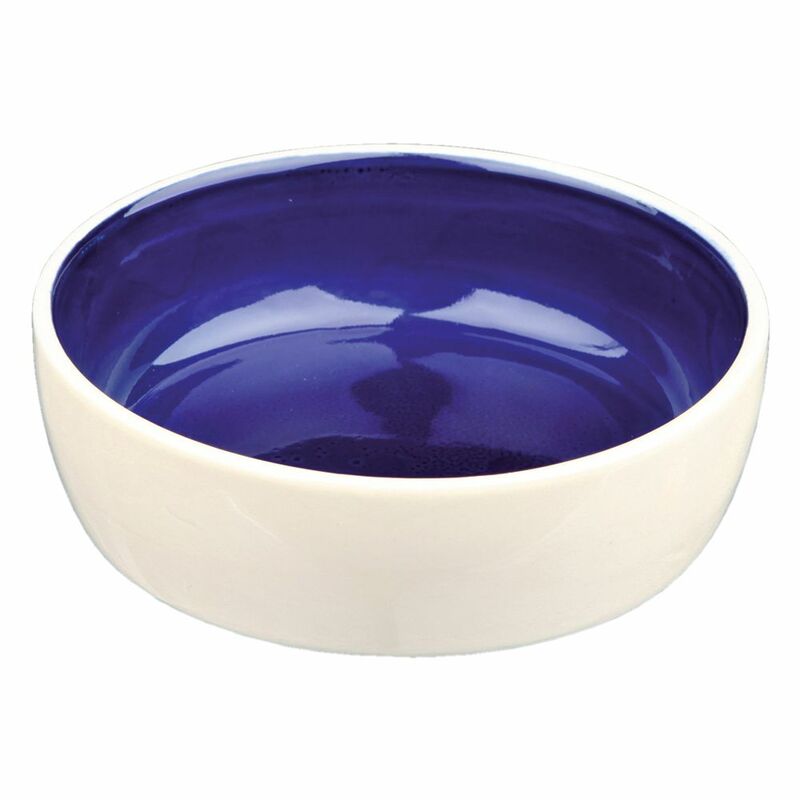 Trixie Ceramic Cat Bowl at a glance: Material: ceramic Colour: cream / blue Hygienic Enamelled Suitable for dishwashers Trixie Ceramic Cat Bowl size table, dual-coloured: Contents Diameter - Inside - Diameter - Bowl upper edge - Height 300ml approx. 12cm approx. 13cm approx. 4cm.